Dundee has been hailed as one of the UK’s top tourist destinations — and here’s your chance to find out why with SeeDundee.com. 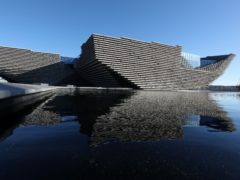 Dundee’s new visitor website SeeDundee.com has teamed up with some of the city’s most exciting hotels, restaurants, pubs and attractions to give you the chance of winning the ultimate weekend break in Scotland’s sunniest city. Just visit seedundee.com to find out more, and make sure you’re following them on Facebook, Twitter and Instagram.